A real transformation is happening in the grid. With the digitization and innovative energy technology catching up its now possible to economically generate power from Microgrid. Microgrids are beginning to emerge in residential communities, office park, university, military base etc. This has been accelerated by a number of local and global factors converging together – government regulations/incentives, energy consumers are becoming more concerned about their local power quality and efficiency of system. Industries and businesses have been economically impacted by local brownouts which are a nuisance In this context IOT and digital intelligence plays a major role for solving some of these problems. In this whitepaper we cover 3 reasons why IOT digital intelligence matters for Microgrid. A Microgrid consists of a variety of assets which are configured and orchestrated to deliver localized power. This could Local low-voltage (LV) and even medium-voltage (MV) distribution systems Distributed energy resources (DERs, e.g. micro turbines, fuel cells, photovoltaic), Storage devices (flywheels, energy capacitors and batteries) in order to satisfy the demands of energy consumers. Each of these assets can be diagnosed from a health perspective by deeply examining the digital IOT sensor data which are collected in SCADA/Historian systems and traditionally the signals are unexamined. Cerebra’s signal detection algorithms can forensically surface asset signals which reduce down time and enhance asset life. Microgrids is one of the models for an alternate energy future. The economic viability of Microgrid operator is directly correlated to the Digital intelligence maturity. This calls for a comprehensive IOT digital implementation strategy for microgrids which ingests sensor, meter and ambient weather data to dramatically impact and guarantee asset stability/contribution behaviour. 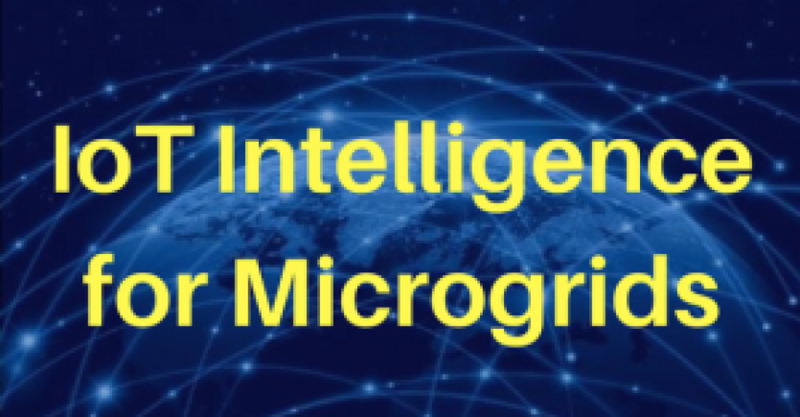 Flutura with its next generation IOT intelligence platform tuned to Microgrid use cases combined with its strategic relationship with Electric Power Research Institute (EPRI – Palo Alto & Orlando) is ideally positioned to intercept the future.